HIT! 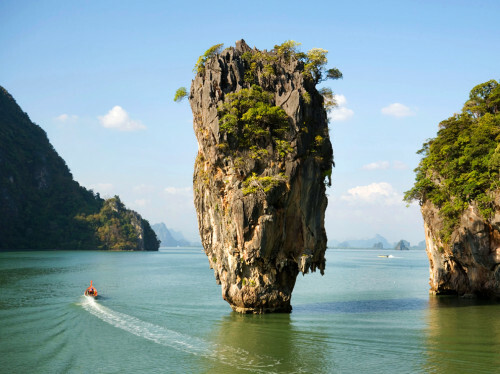 Cheap flights from Prague to Thailand with Emirates: Bangkok for €335! Emirates now offer also cheap flights to other destinations in Asia including Thailand. 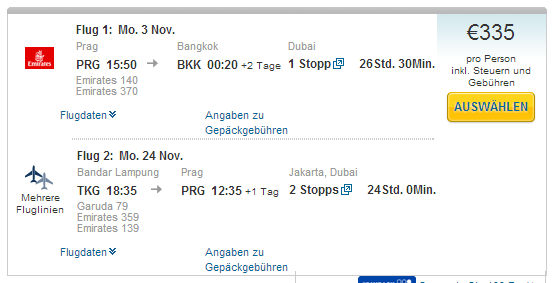 Multicity tickets Prague – Bangkok / Bandar Lampung – Prague are available for only €335! Flights to Bali, Singapore, Hong Kong or Jakarta are also available! Bandar Lampung (TKG) is located in Indonesia, connections to nearby Jakarta are easy with low cost companies as Air Asia. This is most likely error fare which can be fixed at any time so you better hurry up with booking. Travel dates are from August until December 2014. « HIT! Cheap flights to Costa Rica for only €313!